Passyunk Square is a neighborhood in South Philadelphia bounded by Washington Avenue to the north, Tasker Street to the south, Sixth Street to the east, and Broad Street to the west. 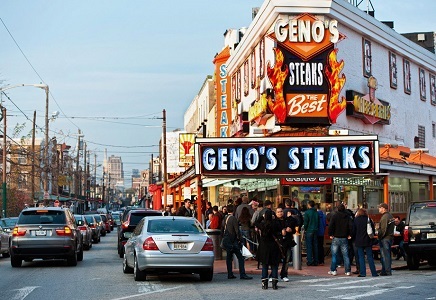 The neighborhood is home to Pat’s Cheesesteaks, Geno’s Cheesesteaks, and East Passyunk Avenue. Residents will enjoy the many options that East Passyunk Avenue’s coffee shops, gastropubs, and highly-acclaimed restaurants provide. The neighborhood is within walking distance of the Italian Market and the former Bok Technical School, now a business center with a rooftop bar. The median price for a home in Passyunk Square is $292,400 with a price per square foot of $261. Home prices are projected to rise 5.3% in 2018.